The police are investigating a spike in robberies in the Sliema and St Julian’s area, most of which have seen the same methods being used. 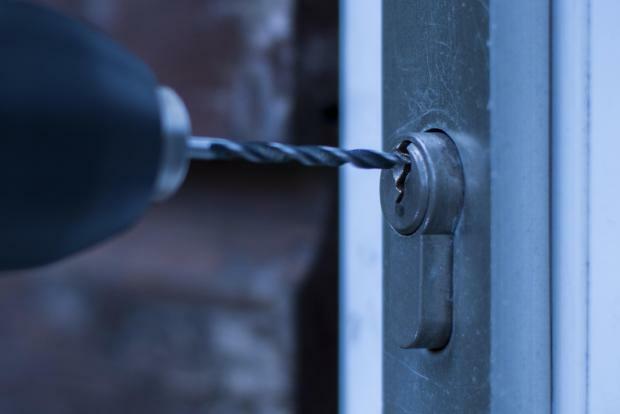 Rather than using bump keys, as they used to in the past, the thieves are now drilling through the locks, even those generally considered to be among the more secure. Sources close to the police said there have been dozens of thefts in recent weeks, with the majority of them targeting apartments rather than larger houses. In one case a whole apartment block was burgled. The sources said the growing incidence seems to be creating a pattern, indicating that the robbers either belong to the same gang or are simply using the same methods to gain entry. In all cases, thieves stole jewellery, cash and watches. Larger items, such as televisions, gaming consoles, hi-fi systems, laptops and computers were not touched. According to investigators, this is an indication that the robbers are after things that can easily be concealed. And they are also after cash. The police sources said that in a good number of cases, the thieves were dressed to fool neighbours into thinking they were workers repairing doors and locks. Investigators said lock drilling was not a new phenomenon but such a way of gaining access to residences had not been used for some time. According to the police, the thefts follow another strange pattern: most are taking place between 3 and 6pm, something which investigators believe is a “peculiar time” to strike. “They’re probably striking at that time because they are pretending to be workers so anyone who sees them wouldn’t think they were up to something,” one police source said. Targets are being chosen weeks in advance: the thieves have been ringing intercoms and telling unsuspecting residents they are from the intercom company and are simply checking items. What they would be doing in reality is checking how easy or difficult it would be to force the door open. Police sources confirmed that an entire block of four apartments in Sliema was targeted last week. The majority of front doors had their locks drilled and removed. Besides Sliema, there have been a number of similar cases is St Julian’s, San Ġwann, Swieqi and Pembroke. Investigators are sifting through long hours of CCTV footage from residences and businesses near the targeted flats in an attempt to identify the suspects. Witnesses have told the police the men have foreign accents but there have been other reports of Maltese-speaking men acting suspiciously. The police urged people to team up with neighbours to be on the lookout for anything which looks abnormal. The installation of alarms, CCTV systems and security locks could also help, they said.